There are so many types of bathroom flooring in the market these days that consumers are usually spoiled for choice. While you would want your bathroom to look splendid and have flooring that matches the interiors, it is also important to select the type of flooring that is practical and easy to maintain. 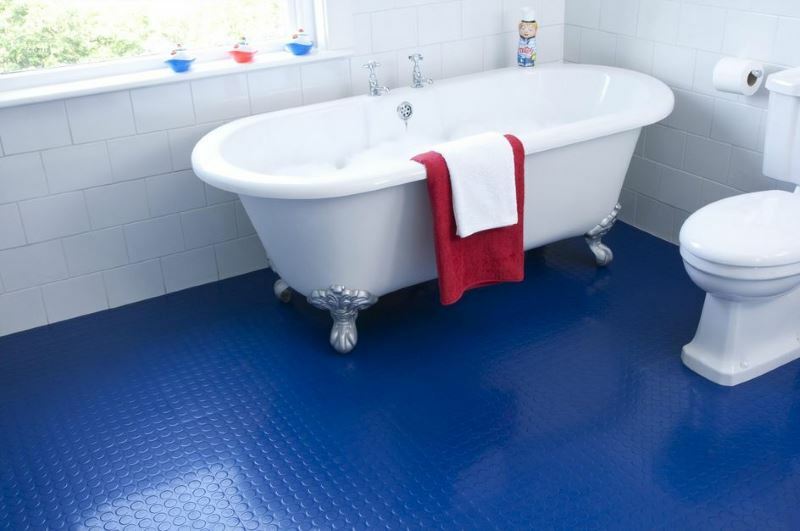 Here we explore 4 of the best and 2 of the worst types of flooring you can choose for your bathroom. Remember to choose wisely! By far the most popular and commonly used material for paving the bathroom floor, ceramic tiles are cost-effective, waterproof and look great. Ceramic tiles come in a variety of sizes and shapes, allowing you maximum flexibility in choosing the right one for your bathroom; you can even choose tiles that look like wood or marble. Ceramic tiles are also easy to clean and are cool to the touch, which is perfect for us living in sunny Singapore. This type of flooring is easily “DIY-able” for those handy around the house and if you choose the sheet vinyl, you can expect water to remain above the surface at all times rather than have the original bathroom flooring ruined due to leaking. This is also the most cost-efficient type of flooring and you can replicate the look of tiles or stone without breaking the bank. Think marble or granite, but only if you can afford to allocate a chunk of your remodelling budget on it as it is the costliest type of material to use. It looks classy and effectively cools the bathroom (again, wonderful news for us basking in the hot weather) but you would have to prepare anti-slip mats to prevent accidents as stone flooring can get extremely slippery when wet. This is the perfect type of flooring to use in the children’s bathroom as it comes in a spectrum of funky colours and designs. It is also hardy and can last a very long time with minimal maintenance and care required. Because of its stain-resistant properties, you don’t have to worry about the kids ruining the flooring with their wild antics. Sure, it looks really sophisticated and adds a touch of warmth to the area but you should really discard the idea of using hardwood flooring for your bathroom. Moisture seriously corrodes solid hardwood and will leave you with a huge repair bill. In short, hardwood flooring in a bathroom requires a lot of maintenance and it will cost you in the long run. It would be much better to apply this in the rest of the home if you really love this type of flooring and skip the bathroom. With the weather as warm as it is already in Singapore, it would be best to leave the carpet out of the bathroom where there is little ventilation and no fan or air-conditioning. Carpet absorbs everything and anything that falls on it and in the bathroom, there is no escaping the possibility of water seeping into it. All in all, carpet is a huge no-no for the bathroom. Are you ready to give your bathroom a whole new look or are you setting off on a renovation adventure with your brand new home? Contact us to find out how we can assist in making your dream home a reality.